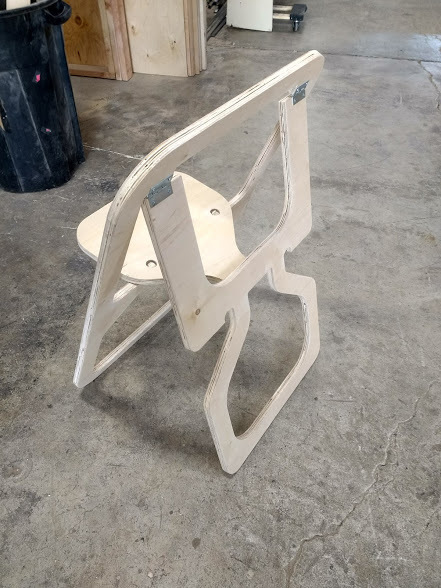 In preporation for MakerFaire I realized we needed some chairs to sit in, but rather than bring some I decided to cut some out when we get there. This design is copied from something I saw in numerous places on the internet. They cut quickly (~1hr) because of the common cut lines, and they fold compleetly flat. 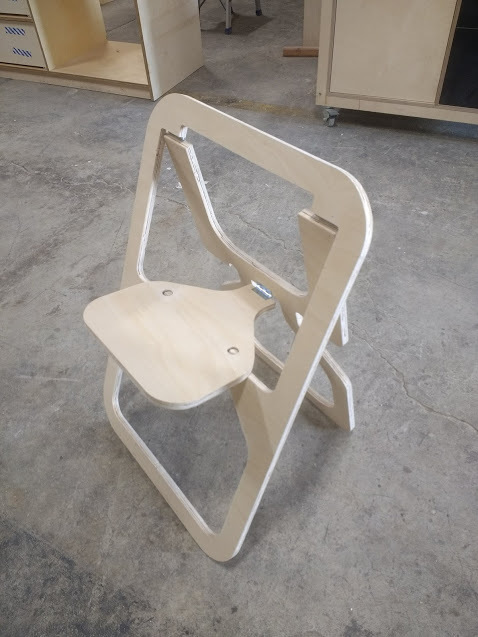 This is version one of the chair, I am going to update the file based on my experance with it. 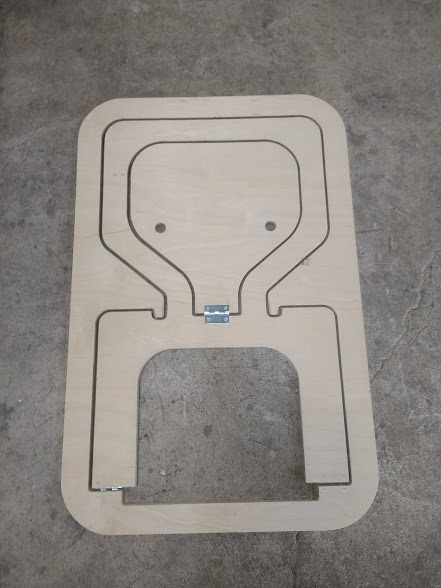 The assembly is relitively easy because all the parts are already in place. For the next one I do I will attach the hinges before cutting the tabs holding the parts together. Keep in mind that the seat has the hinge on the front while the pack support has the hinge on the back.